Condoleezza Rice's speech was outstanding! She has given the most unabashedly and intellectually solid patriotic speech I have heard in a long time. I take back everything negative I ever said about her. I grovel in apology. "Shocking Revelations" About Bin Laden's Death . . .
Well, there's a book out by a Navy SEAL on the op that killed UBL. I am reluctant to buy these types of book, but will probably bite on this one. I see that the press is already panting that the account disputes "the" official account of his death. Look, this blog has been highly critical of the Obama's misadministration's handling of the post-raid press and spin (here, for example). But to start parsing and feuding over whether UBL was shot in the doorway or in his bedroom, and that some SEAL had to use UBL's cadaver as a seat on a crowded helicopter is just silly. I can hear the Islamists and the looney left getting spun up over the "disrespect" shown UBL's body. I am sure they showed him more respect than he did the thousands of unarmed civilians he murdered on September 11, 2001. Stop. This is the sort of press obsession that gets distorted overseas and can get people killed. The Obama misadministration totally blew its handling of the post-Abbottabad raid spin. Obamistas just couldn't shut up, and stop giving away as many "details" as possible. Now, we have a SEAL joining in and providing what might be the most accurate account of the raid. But it is all unnecessary. The message should just be, you kill our citizens and we will track you down as long as it takes and capture or kill you. No escape. Period. Lower the drinking age and raise the voting age . . . that is all. "It doesn't have to be this way. If you elect Romney-Ryan, it will not be this way." We have to blow away that fog of Carteresque disillusion, cynicism, and hopelessness that has once again settled over our country and which the Obama campaign offers us at best only some empty phrases and bloated ineffectual government programs designed to help us deal with decay. 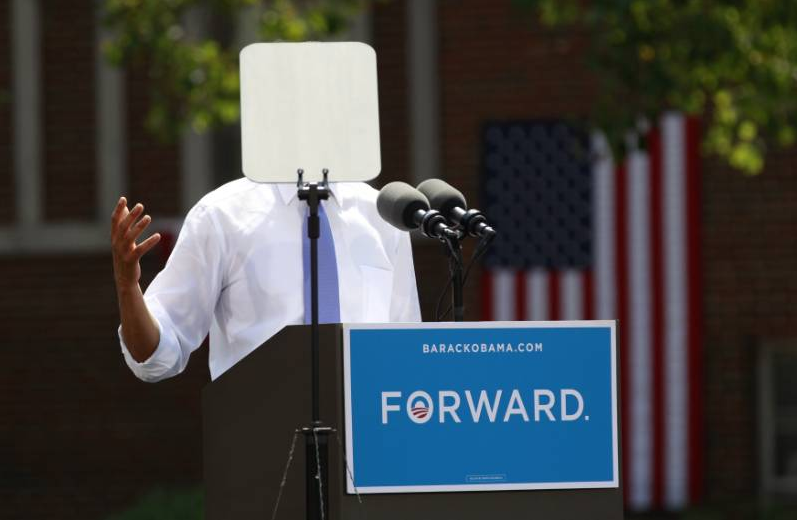 The Obama campaign is essentially, "Hey things are the way they are. Not much we can do about it. Sort of like the weather, so let us buy you a couple of sweaters, and some soup to help you make it through the rest of your miserable life." That is not America, at least, not America outside of Chicago, Cambridge, and Chicago. We do not have to have unemployment in excess of 8%. We do not have to have Federal budgets with annual deficits in excess of $ 1 trillion. We do not have to have a deteriorating navy, air force, and army. We do not have to stand around and watch our friends fall, and our enemies rise. We do not have to have class warfare. We do not have to have a government hostile to free enterprise. We do not have to have ever-increasing taxes and spending. We do not have to be dependent on hostile foreign countries for our energy resources. We do not have to have a Federal government dictating our health care. We do not have to have a Federal government that sells weapons to Mexican drug cartels, which kill hundreds of Mexicans with them as well as two US agents. And on and on . . . It doesn't have to be this way. Mass shooting at the Empire State Building! The media were having a field day with the latest example of a mass shooting by a mad man. Well, that is, until the facts began to get in the way of the story. Turns out it wasn't really at the Empire State Building, and the murderous little creep had one victim in mind, a former work colleague, whom he murdered in cold blood. It was the cops who turned the scene into a "mass shooting." It seems they pumped out somewhere between fourteen and sixteen rounds, while the other side of the "shoot-out" fired back with exactly . . . zero. All of the wounded at the scene were shot by cops! I sound like a broken record on this topic, but cops are out of control. As could be predicted, Mayor Bloomberg has upped his anti-gun crusade calling again for a ban on "AK-47s," and, apparently, he was on a radio interview bemoaning AK-47s precisely at the time his boys in blue were shooting up mid-town with their 9mm handguns. He, therefore, might want to focus his gun control efforts a little closer to home: how about with the NYPD? What kind of training do "America's finest" have? Are they, in fact, even trained in aiming and shooting a weapon? Double-tap, anyone? What sorts of rules of engagement do they have? Do NY City cops know how to operate in an urban environment? That might be a useful skill, just maybe, no? Didn't Blackwater get nearly put out of business for a shootout on the streets of Baghdad? The NYPD will now get hit with a raft of lawsuits over this mass shooting. The already beleaguered taxpayers of NY are going to take it on the chin, again. But, hey, they are safe from oversized sodas . . . Sitting in a little coffee shop in Miami, my favorite city in the world, and watching the TV as Julian Assange gives a speech from the balcony of the Ecuadorian embassy in London. The Cubans, Venezuelans, and Spaniards in the shop are laughing their heads off. They are all way too familiar with pompous egomaniacs giving speeches from balaconies to take Assange seriously. I swear it looks like a scene out of a Woody Allen movie. He looks absurd, standing on the small balcony with a cameraman while giving his self-important speech to the "crowd" below. Ah, yes, the United States "must" do this or that . . . Sure, sure, you want fries with that? Let the poor boy go to Ecuador. He won't last long there. Wait until he sees how Correa runs the place. Taking the daughter to college (ugh!) so posting might be a bit light for a few days. I am sure my contact with the university types will fire me up . . .
Well, well, well . . . VP Joe has been sent out to be the attack Chihuahua, again. . .
Look, things are not fair. Ryan is young, athletic, smart, knowledgable, and has a full head of hair, and Joe, well, he . . . . Anyhow, the debate between Ryan and Biden just won't be fair. No, it's not right. In keeping with our Dear Leader's vision of the United States as the land of equal outcomes, I propose that Republicans make a special effort to help out ol' Joe as "he's been moving kinda slow . . . "
It is only fair that the Diplomad go first in this effort. A suggested spin for the DNC. "By now we all have heard the Vice President's speech in Virginia in which he mentioned that the GOP sought to put black people 'back in chains.' We note the mock outrage from the Republicans on this comment, and roundly deny that the Vice President was implying that the Republicans would put black people in some sort of physical, metal 'chains.' The statement must be understood in its full context. The Vice President meant, and the GOP knows this, that were the GOP to win the November election, everybody would have to go shopping in 'chain stores' and eat in 'chain restaurants.'" As we emerge from the summer doldrums, we see coming ever more clearly what we knew would come from the Obama re-election effort: an unceasing staccato of lies. For all his exotic cool, easy smiles, and breezy charm, Obama is a product of the corrupt Chicago political machine. When I say that, I refer not just to the machine's well-known lax handling of money, e.g., Obama's real estate deal with convicted mobster Rezko, or its liberal attitude towards voter fraud, e.g., Obama's opposition to voter id laws. No. The real corruption of the Chicago way of politics is how it handles the truth, and the zero regard it has not just for the truth, but for the damage done to the political process and to real lives, real human beings, by the lies it spews. It is the politics of personal destruction on steroids. We see the machine at work in their "kill Romney" strategy. The Obama machine tells lies, because lies are much better than the truth. The Obamistas only seem to tell the truth when they commit a "gaffe." The most prominent gaffe, aka inadvertent truth, is, of course, "You didn't build that!" Four words that revealed the ugly, angry hate-filled face behind the smiling mask. The truth is a disaster for the Obama campaign and must be avoided; to paraphrase Jack Nicholson, "They can't stand the truth." The Obama campaign is built around lies. Never mind the war on religion, the war on women, the war on the middle class. It is a war on truth. The truth is that the Obama presidency is a disaster by almost any measure of the national interest. Endless and growing deficits; the imploding of the economy; the selling out of allies and the collapse of American influence abroad; the sabotage of basic American values by the promotion of dependence. The campaign cannot be about any of that. The campaign cannot be about Obama's record, it cannot even be about the secretive and deceptive Obama. The Obama campaign has a Gatling gun loaded up with seemingly endless rounds of lies. They fire one lie after another on the assumption that, as Churchill noted, "A lie gets halfway around the world before the truth has a chance to get its pants on." Romney is a tax cheat; Ann Romney has never done anything in her life; Romney rips off workers and small companies; Romney uses death squad money; Romney is a murderer. As the victim gets ready to respond to one lie, another is headed his way. No time to respond to all the lies much less get to focus on the real issues at play. That's the Chicago way. Whomever Governor Romney picks as VP running mate, better be ready to have his life turned upside down. The Chicago machine will stop at nothing. This is going to get very nasty. For the sake of our country and for the sake of just plain decency, Obama must be defeated in November. Going through 34-years of old photos, I found this one. I have another one somewhere that is clearer, but I haven't found the right shoebox, yet. The picture is of a large plane (DC-3? Not sure) resting at the bottom of a lake in Central America. I took the picture from a helicopter while on an anti-drug operation many, many years ago--the shrubbery at the bottom of the frame is a marijuana plant we "captured" in a raid earlier that day and were taking back as evidence. 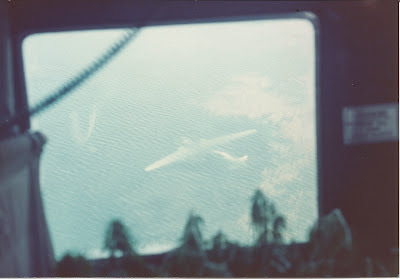 Seeing this plane in a lake made a huge impression on me; it drove home the futility of the "drug war." The narcos used big planes on one-way missions. They could afford to throw away aircraft and still make huge profits. You can't make war on the law of supply and demand . . .